Serbian opera star Nataša Tasić Knežević, photo by Dzenet Koko, used with permission. Serbian social networks were set ablaze after opera singer and local superstar Nataša Tasić Knežević , who is of Roma origin, accused a supermarket in the city of Novi Sad of racial profiling on a live broadcast on Facebook. In the video, broadcast on December 29 right after the incident, Ms. Tasić Knežević explained that as she exited the Maxi supermarket store along with several other shoppers, the anti-theft sensor beeped. While everyone else was allowed to leave, the store's security officers told her to stay and proceeded to search her in public while onlookers heckled her. In her backpack, they only found sheet music, books, and a wallet. In the first days of January 2019, the video  suddenly vanished from the platform along with Ms. Knežević's profile. Although she hasn't publicly explained what happened, many speculate that she has removed them herself to de-escalate the turmoil. In just a few days, her video amassed over 60 thousand views, was shared around 350 times and received around 700 reactions. Independent news portal Buka  was the first to report the incident, followed by other Balkan media. Ms. Tasić Knežević is a soprano at the Serbian National Theatre , located in Novi Sad, the country's second largest city. Previously, she worked in the Belgrade theater Atelje 212. 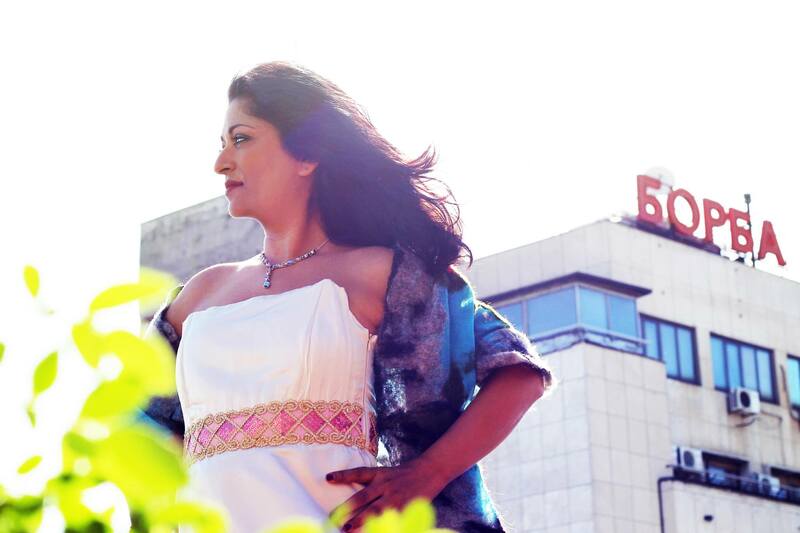 She is also a choir performer and a soloist of popular music and often sings of her own Roma heritage. In the video, Ms Knežević says the store manager apologized to her after she complained about the maltreatment, but that she was still hurt by the mob's harassment. She says one older man shouted that they “should pack that garbage out”, meaning that employees should throw her out of the store, supposedly for her being Roma. “It is known who likes to steal around here!” is a sentence from the movie “Who's Singin’ Over There?”  about events taking place on 5 April 1941. 77 years later this [discriminatory stereotype] is not rooted out from our mentality. The company [owning Maxi markets] is Dutch-Belgian but the employees are our people! For shame! Support for the wonderful woman and artist @NatasaTasicKnez. “Who's Singin’ Over There?” is a 1980s Yugoslavian movie  that has achieved cult status in the Balkans. In the story, two Roma musicians are wrongfully accused of theft and barely manage to escape alive from a lynching attempt. The parent company of Maxi supermarkets, Delez Srbija, issued an official apology  on the same day. It stated that it “believes that this would remain an isolated incident of inappropriate individual reaction and that there won't be similar situations in the future.” The company has added that it will conduct formal training of their employees on appropriate conduct upon suspicion of theft. On December 31, Serbian Deputy Prime Minister and President of the Gender Equality Coordination Body, Zorana Mihajlović , also decried the behavior of Maxi store employees as “scandalous and for condemnation.” She did not announce any concrete measures to address the broader issue of discrimination against people of Roma descent in Serbia. While Ms. Knežević seems to have removed her profile from Facebook, possibly to de-escalate the turmoil, she has retained her Twitter profile. On New Year's Eve, she posted a short message referring to the incident.